Read the header one more time. Good? Those are the numbers the Chosen One put up in his teams most important game this season. Happy with that Cleveland? I didn't think so. Get angry, keep booing, because unlike the rest of the world, LynchyRightNow thinks this is your best shot at keeping the games best. As the 61-win Cavaliers head back to Boston down 3-2, staring elimination directly in the face, LeBron James has most likely never had a more restless 48 hours. The postseasons best point guard, Rajon Rondo, scored just 16 points, only 7 assists, and 2 rebounds, 16 less than in his mind numbing game 4 and still the Cavaliers were thumped by 32-points. If the Boston Celtics, the aged veterans who were supposed to do no more than exhaust the Cavs for the Orlando Magic, pull off the upset, is the King of Ohio out? 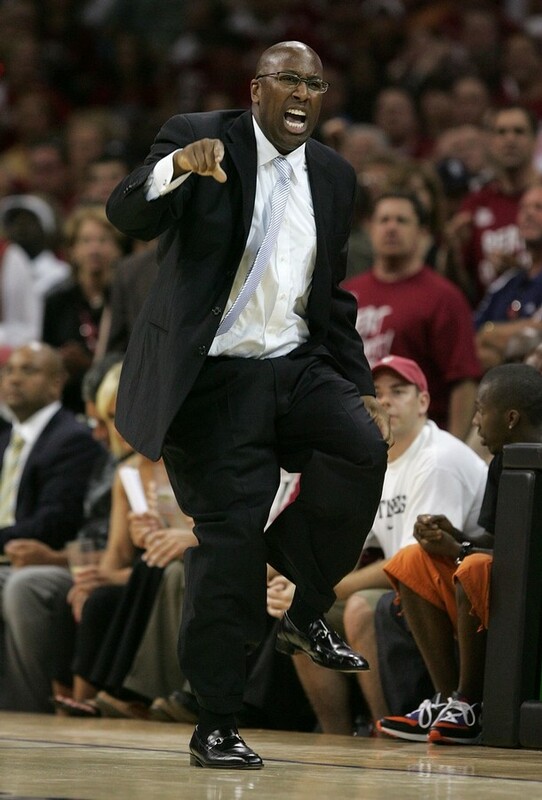 Let the blame game begin, and head coach Mike Brown, your first. How does LeBron James watch his head coach be out coached by Doc Rivers, Stan Van Gundy, and insert your head coach here time after time. The Cavaliers have yet to come up with a game plan to help Mo Williams who for all intents and purposes is getting beat down time after time in this series against Rajon Rondo. Think LeBron is frustrated Brown hasn't found a way to put a body on Rondo? James has got to wonder what changed in Brown's mind last night, for the first time in four games the Cavaliers head coach decided to insert Zydrunas Ilgauskas into the game, a player who routinely roughed up the Celtics in years past. A player who shoots on the perimeter and gets Kevin Garnett and Kendrick Perkins away from the basket for LeBron to make plays. Has Brown not seen what the Cavaliers offense does with when Shaq is on the bench and Anderson Varejao is in the game? They run, they're athletic, they cause problems for the Celtics, oh and Varejao actually gets more boards than the overweight O'Neil. How can LeBron watch the Knicks bring in D'Antoni, Pat Riley loom over the Miami Heat bench, and the Chicago Bulls make room on their bench while Mike Brown continues to muddle the Cavalier offense? Think LeBron saying "We tried to do the things we wanted to do with the gameplan that was given to us but it just didn't work" means something? I do. How about that cast of misfit frontrunners that seem to have put the hand cameras away for the postseason? 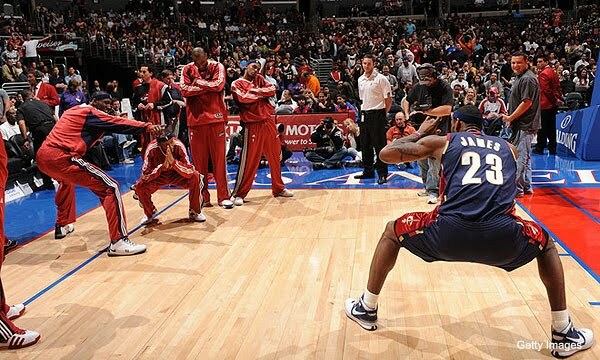 Mo Williams, you'll be the player left in the wake when LeBron jettisons for the East Coast. Taken out behind the wood shed by Rajon Rondo. Shaquille O'Neal, retirement on your mind? Because the player I saw rumble down the court for 27 minutes last night and lower his shoulder traveling, hacking, and bowling his way to the charity stripe isn't smiling now. J.J. Hickson, Delonte West, Jamario Moon, and Anthony Parker, LeBron may welcome you onto the M.V.P. stage, but that's the closest your ever going to get at sniffing a teammate of his caliber after your no show playoffs. It's got to be driving LeBron James mad that Rondo, Dwight Howard, Kobe Bryant, Steve Nash, some of the best players in the game have players along side them who can pick up the slack on an off night, and he's got nothing. They love taking those sideline pictures sitting next to him, they love giving high fives when he's going off lighting up the scoreboard, but where are they when he's struggling? Who decided to pick up their game last night? And we wonder why King James never looked so disinterested in a basketball game. 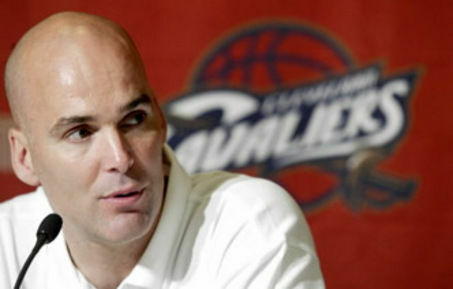 Cavaliers general manager Danny Ferry, your not getting off so easy. Shaquille O'Neal and Antawn Jamison are your answers? Let's start with Shaquille, because it's easy and I'm rearing to go. Shaquille O'Neal is bordering at least 350 lbs. at this point, at least. In his seventeenth year you thought he could keep up with Dwight Howard? Have you watched the Suns offense since O'Neal departed? Exactly. Shaquille has yet to step in and force Rondo to think twice about attacking the paint, and he certainly isn't fast enough to recover when the ball rotates from one block to the other. Here's the biggest problem though: Shaq slows the Cavaliers down, which plays right into the Celtics. They recover on defense, they don't have to worry about numbers, and can always send him to the free throw line killing momentum. As for Jamison, it's no wonder he cost the Cavaliers nothing to get him mid-season from Washington, because that's about exactly what he's worth. When the Cavaliers refused to move Jamison from covering Celtics forward Glen Davis, it got ugly. Davis treated Jamison like a 5th grader, backing him down inside and abusing him, and the Celtics knew it. Between Rondo and Tony Allen, the ball continued to find its way into Davis' hands to the tune of 15 points in just 21 minutes forcing his way to the free throw line. Already the Knicks are talking about bringing in Tony Parker, Chris Bosh, and or Joe Johnson. Danny Ferry, you brought in nothing for THE PLAYER to win with. After his game 5 performance, injured or not, LeBron James is just as responsible for this team getting their doors blown off as Cavaliers head coach Mike Brown. 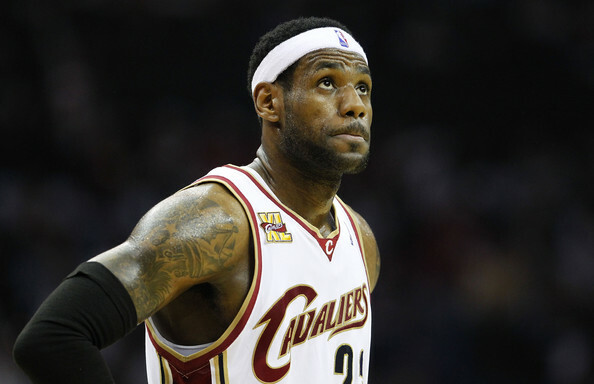 Just like Brown and general manager Danny Ferry, LeBron James is coming up short. Tim Legler on ESPN was the first to point it out, LeBron was not getting involved in the offense, he was staying on the outside, not attacking, not being the MVP we've all known his entire career. Fed up or not, Michael Jordan would not have let his team get blown out by 32-points, with or without Scottie Pippen. Jordan would have taken over that game and made you beat him rather than beating himself. How do we watch game 3, watch the hurting that LeBron put on the Celtics outscoring them on his own in the first quarter, then accept that performance as "his jump shot wasn't falling," he gave up, flat out. If LeBron James is going to become the greatest of all time, it isn't just by winning championships, it's by never letting performances like that take place. If you were on the fence in Cleveland, there isn't anything going on positive right now. Booing these players is all that you've got, and if LeBron has played his last game as a Cavalier with the people of Ohio behind him, then the storm is about to begin, more than shook this time!